The Tamashii Shanghai event just wrapped this weekend, but not without first giving us a couple of more brand new reveals for Ultraman collectors! When Ultraman Zero was at the first height of his popularity several years ago, he seemed to receive new forms left and right. During the run of the Ultra Zero Fight TV series, Zero would go on to receive two new forms based on combinations of previous Ultras. Strong Corona, a fusion of Dyna’s Strong form & Cosmos’ Corona form, and Luna Miracle, a union of Cosmos Luna & Dyna Miracle. At the time Ultra-Act figure of these forms were made, and now, we finally have the official reveal of S.H. Figuarts for both Strong Coron & Luna Miracle! Though Tamashii Nations has not yet announced release information for either of these figure’s, we can assume with Zero’s enduring popularity and the speed with which the Ultra S.H. Figuarts line is growing, that we could receive this information fairly soon. We’ll update you when that information becomes available. The monster who tried to destroyed Geed’s universe among so many others, has returned. Ripping new life from his puppet Kei Fukuide, and mastering the Dark Lugiel & Alien Empera Capsules, Belial is reborn. With a new twisted form, born in darkness, strong enough to take on Royal Megamaster, S.H. Figuarts Ultraman Belial Atrocious is here! Belial Atrocious is the first new Tamashii Nations collector style figure that this character has received in 7 years. 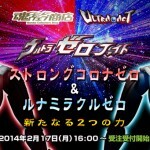 Before Ultramam Geed began we took an in depth look at his Belial’s original Ultra-Act release from way back in 2010. Flash forward nearly a year from our gallery, and it’s good to see that dear old dad has indeed gotten a new figure. Monstrously detailed, and armed with the ever menacing Giga Battle Nizer, is this Belial’s return to glory? Read the review to find out! We’ve attached the full 50 image gallery to this post, but you can check out the full review thread by clicking “Discuss on the TokuNation Forums” at the bottom of this post as well. Next time, we’ll be back with our in depth look at the long awaited Shinkocchou Seihou Garo! Proving once again why he’s become a character with incredible longevity and popularity among fans, Ultraman Belial returns to the collector market with his first new Tamashii Nations figure in over 6 years! Recently revealed at the Tamashii Nations 2017 event and now properly confirmed for release is S.H. Figuarts Ultraman Belial Atrocious! The last time we saw Belial it was in his Kaiser Belial form, in a toyline that no longer exists, Ultra-Act! Earlier this year we even took a look back at the original Ultra-Act Ultraman Belial. In the interim Ultra characters have officially been folded into S.H. Figuarts with several releases being the 2nd or 3rd outings for characters that already had Ultra-Acts. This time rather than re-doing Belial straight off the bat, Bandai have opted to give us his fantastic new form from Ultraman Geed with Atrocious. Could this signal new Belial & Kaiser Belial figures in the near future? Let’s hope so! Belial Atrocious will be released as a Tamashii Web Exclusive in June 2018 for 6480 yen. Be sure to get in touch with you preferred middleman or web exclusive service to secure an order for this figure. 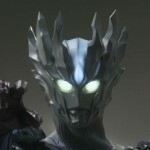 8 years ago Ultraman Belial made his debut in Mega Monster Battle, and ever since we’ve seen dark ripples related to him throughout the Ultra universe. One of the darkest villains this franchise has ever seen, Belial has persisted to fight heroes at every turn even beyond his own multiple deaths. And even despite his evil, he’s managed to spawn a heroic son in Ultraman Geed. Despite his prominence Belial has only ever received a couple of really nice collector oriented figures. So given Geed’s popularity we wanted to do a throwback gallery to the original Ultra-Act Ultraman Belial! One of the oldest Ultra-Act releases in the line, in fact the 2nd, Ultraman Belial still holds up pretty well all these years later. While not perfect, Belial has a surprising amount of personality and is an intricately detailed figure. Actually Belial even has a really great set of accessories. His alternate claw hands, the Giga Battle Nizer in 2 configurations, and even specific effect parts for the Belial Shot & Belial Deathscythe attacks! Frankly this is an incredible release for the time. We’ve attached the full gallery of over 70 images to this post, but you can also check out a full review in the gallery thread by clicking “Discuss on the TokuNation Forums” at the bottom of this post. We’ll be back soon with another exciting gallery as well. Ultra-ACT Ultraman Zero 2-Pack Featuring Strong Corona & Luna Miracle! Ultra-ACT’s latest offering for fans is a double deal! This recently announced two-pack highlights the dynamic duo of Ultraman Zero: Strong Corona & Luna Miracle! These two will be released as a Tamashii Web Exclusive in July for the low low price of 8,856 Yen! Ultra Zero Fight, the recently wrapped 3 minute segments of Ultraman Retsudan, are known for having featured Ultraman Zeros’ 2 new forms. Though he originally wasn’t going to have additional forms, this series introduced us to Luna Miracle Zero & Strong Corona Zero. Ultra Zero Fight Season 2 will again feature at least one new form for Zero. This season we see the debut of Shining Ultraman Zero! Be sure to tune in for the 2013 debut of this new form as Zero faces off against the Darkness Five! Taiga soon finds himself in the apocalyptic version of Tokyo, as Ultraman Zero battles a huge fleet of alien spaceships. As Taiga notices a crashing ship heading straight towards a young boy, he pilots his ship directly into its path in an act of self-sacrifice. Witnessing his brave actions, Ultraman Zero rescues Taiga and joins with him. 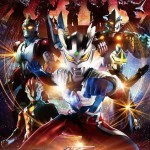 For those of you who have seen Ultraman Saga, do you think it should be localized? Discuss!